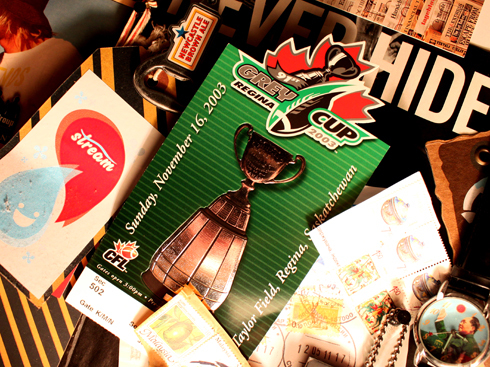 This year marks the 100th Grey Cup, which for those of you out of the loop (or out of Canada) is the top prize in Canadian Football. I've mentioned in the past that I'm not much of a sports fan, but that's not to say they're not a lot of fun to go to. 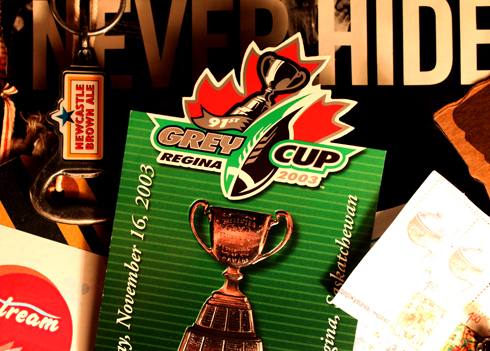 I did get the chance to go to the Grey Cup when it was in Regina back in 2003 while attending university there. My dad had won a couple of tickets and over-nighted them to me so I could go. 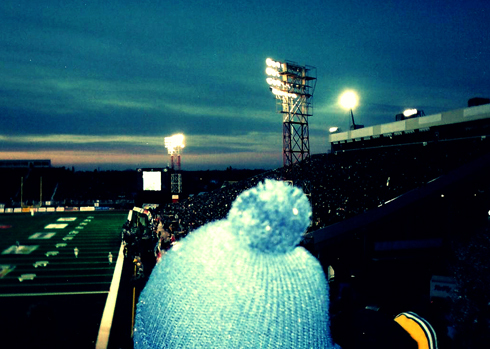 My friend Andrea made the trip to Regina to share the experience with me, and on November 16 we were in the stands among 50,000 other fans at Mosaic Stadium at Taylor Field watching the Edmonton Eskimos play the Montreal Alouettes at the 91st Grey Cup. 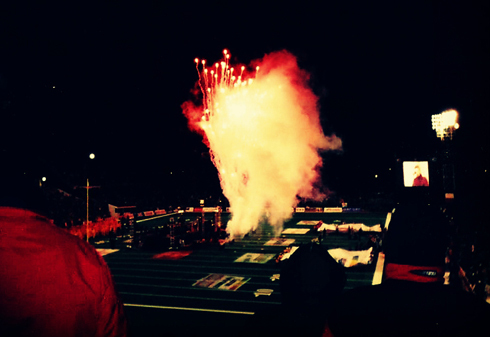 It was a pretty cool spectacle, although it was freezing. 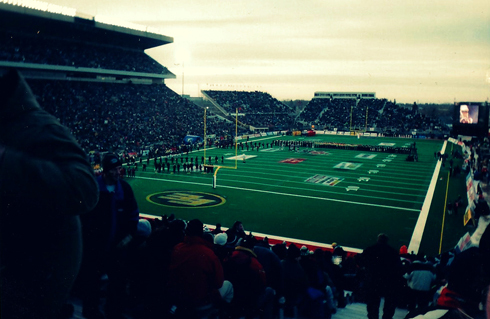 This was Regina, Saskatchewan in November after all. Andrea and I were seated along the aisle with her sitting directly in front of me. This actually worked to my advantage because I had stupidly forgotten to change my fashionable socks and sandals combo (that I had been wearing all winter around the university) that day. I realized my mistake in the cab ride over, and thankfully our seating arrangement made it convenient for Andrea to sit on my feet. The couple next to me had also snuck in some vodka and was kind enough to share their blanket with us. Andrea and I were both bundled up (besides me feet) but that couple's gesture went a long way in that cold weather I remember. 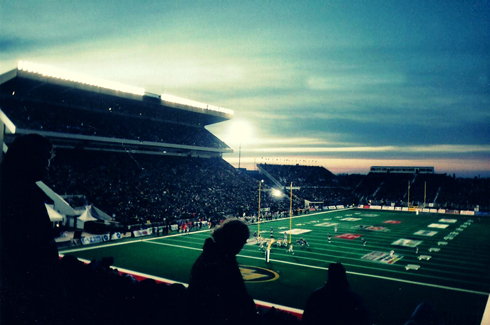 Bryan Adams and Sam Roberts performed at the half-time show, but I have to admit that we left after that and hit up the casino. There's only so much cold you can take before it's not fun anymore, and the warm food and gambling seemed more appealing after I'd lost all the feeling in my feet. In the end Edmonton won, and I think I pocketed a few bucks on the horse races. All around, a good night.